Join Integrative Dietitian, Yoga Teacher and Reiki Practitioner, Katie Cavuto MS, RD, RYT, as you explore the unspoiled landscape of southern Baja! 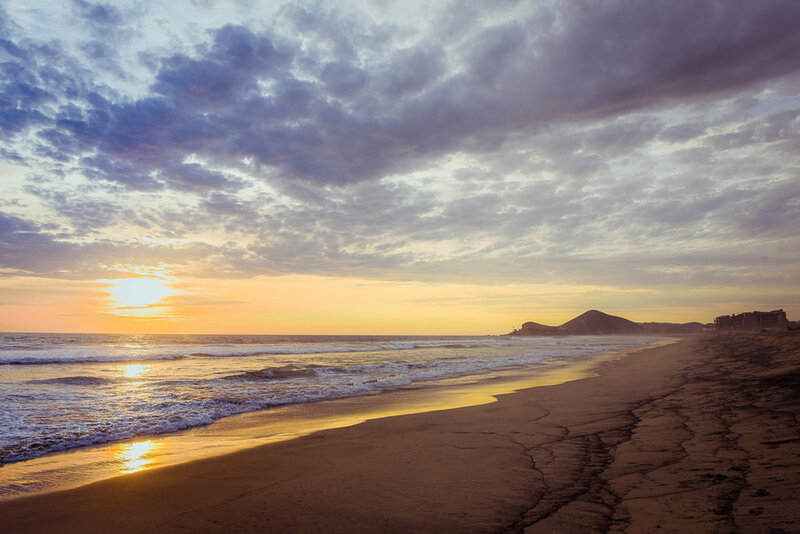 On this journey steeped with gratitude, self-love and abundance you will explore guided meditations, mindful eating, intuitive movement and compassionate self-care as you kayak the seas, rejuvenate beachside, surf, swim with sea lions, enjoy local delicacies, and toast under the stars – some of the most magnificent adventures Baja has to offer! I'm, Katie. On paper I am a Integrative Dietitian, Yoga Teacher, Reiki Practitioner, Chef and Wellness Advocate. While these titles definitely permeate my passions in daily life, there is a lot more to me than my credentials. My deep interactions with all of you: my family, my friends, those I work with, and those I meet during the daily rhythm of the day, truly inspire me and flood me with gratitude. I love all things that nourish my life including good food, great conversations, laughter, travel, and quiet time on my yoga mat. My wellness philosophy is rooted in the foundation that we all need simplicity and approachability and that no two paths are alike. My recent journey through chronic illness gifted me the opportunity to transform fear into abundance and to connect with my intuition so I could learn to love and trust my process and myself. It’s my hope to inspire, educate and empower others so they too can live a nourished and joyful life no matter their struggles. I earned a bachelor’s degree in culinary nutrition from Johnson and Wales University and my MS in clinical nutrition from Tufts University. I am a certified reiki practitioner, RYT-200 yoga teacher and mom to 8 year old, Hudson! I am the nutrition adviser for Unite for HER, an organization that educates and empowers woman with breast and reproductive cancer. I owned and ran Healthy Bites, a locally sourced cafe and organic meal delivery service for many years and I recently stepped away from a 10-year position as the Director of Nutrition for the Philadelphia Phillies to further pursue my passions in the holistic wellness field.You can learn more about me, my philosophy and my personal wellness journey on my blog Nourish.Breathe.Thrive. Upon arrival in San Jose del Cabo (SJD), we'll meet you and transfer 90 minutes to the lovely Los Colibris Casitas, located on a hill overlooking the ocean in the artists colony of Todos Santos. We'll have a welcome gourmet taco welcome dinner and offer an optional gentle yoga class on the yoga deck to help you recover and restore from your travels. Overnight at Los Colibris Casitas. After a morning yoga practice and delicious Mexican breakfast we'll head to Los Cerritos, one of the best surf breaks in Baja, where you can relax in the sand, enjoy walking the beach and even catch a wave if your up for it. With a smooth sandy bottom and a range of waves for surfers of all levels, Los Cerritos is the perfect place to learn to ride the waves. Our incredible instructors guarantee that you'll stand up on the board during the first hour of instruction - at least for a few moments! We'll have time on the beach for Katie to explore a guided meditation and then we’ll head to lunch at a terrific local joint. You’ll then have the afternoon to explore the charms of Todos Santos. Our guides will conduct an optional hour-long historical town tour, with plenty of time for shopping and exploring afterwards. In the evening, Katie will share some philosophy around food gratitude and mindful eating, which will be followed by a cooking class with chef Iker Algorri, author of Cooking Adventures in Baja California Sur. First, we'll learn to make the perfect margarita and then, while we sip on our creation, we’ll engage our senses as we cook our own dinner! 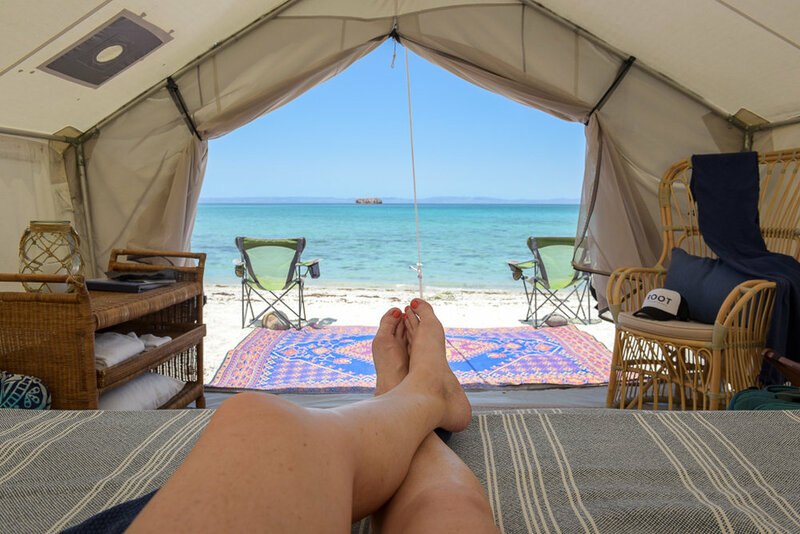 After a morning movement session and a wonderful Mexican breakfast we'll transfer to La Paz where we will board our boat to Camp Cecil, a luxury tent camp on the incomparable Isla Espiritu Santo. We'll settle into our tents then let the adventures unfold. Kayaking, stand up paddle boarding, snorkeling, and swimming. These are just a few of the activities that await us as we explore the island and the surrounding Sea of Cortez. A learning lunch on the island will be followed by relaxation and an optional yoga practice with guided meditation. Dinner and overnight at Camp Cecil. Coffee, tea and cold breakfast of granola and fruit is available for early risers. Option for an early morning yoga and meditation before a full, hot breakfast with a group discussion to set the tone for the day. We'll then head out for what truly must be one of life's greatest joys, swimming with the sea lion puppies at the permanent sea lion colony of Los Islotes. It is an absolute blast! Afterwards visit another part of the island for a beautiful hike to get spectacular views and learn more about the flora and fauna of the island. We'll have a learning lunch in camp, some leisure time in the afternoon, then a wonderful dinner, closing conversation along with stretching meditation, gentle stretching and, of course, star gazing. Perfection. After an early breakfast with an optional yoga class and guided meditation, depart Camp Cecil for our return to shore and transfer to the airport in San Jose del Cabo. Say adios but not good-bye as we return home or opt to extend your stay.